BERLIN, Aug. 21, 2015 — Bayer HealthCare launched its “Grants4Apps Accelerator 2015” program in Berlin, Germany, selecting five digital health startups from around the globe that will advance their business ideas and technology in areas such as hormone tests, patient adherence, breathing patterns, clinical trials and vitamin deficiency. Today, five digital health startups officially move into the “Grants4Apps Accelerator” at the headquarters of the company’s pharmaceutical division in Berlin. Each of the startup companies will receive financial support of up to 50,000 Euro. With the support of Bayer executives and external experts, these companies will advance their projects in Bayer’s “Accelerator” over the next four months. Bayer received more than 200 digital health related applications from 48 countries to participate in the “Grants4Apps Accelerator 2015” program. Applications from Europe and the Americas were strongly represented, but there were also many applications from Asia, particularly from China. This year, Bayer employees were also encouraged to submit their own startup business ideas. 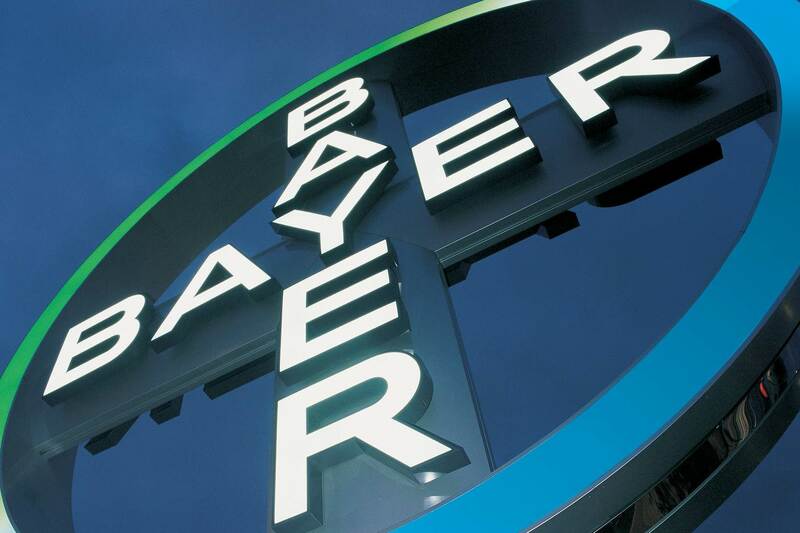 Executives from Bayer HealthCare were involved in examining the applications, with judging criteria based on categories including company maturity, existing product prototypes and their team, as well as the applicant’s fit to Bayer’s areas of interest. The five digital health startups chosen for the “Grants4Apps Accelerator 2015” program come from five different countries and three continents: Serona (previously called Hack My Hormones, Inc.) from the U.S., MediKeep OU from Estonia, Sendinaden Limited founded by Bayer intrapreneurs in China, Viomedo UG from Germany and Vitameter Inc. from Canada. For the first time, two of the startup companies will also use the laboratory facilities in the Berlin Bayer HealthCare CoLaborator as they need further capacities to test their concepts in real life. The Bayer HealthCare CoLaborator is a global research incubator concept that offers young life sciences companies access to the Bayer expertise and the global research network, in addition to the ready to use laboratory and office infrastructure in the immediate vicinity of the company’s own research facilities in San Francisco and Berlin. Serona generates and tracks hormone data to enable precision medicine. The Serona platform offers accurate and accessible hormone testing and data management to researchers and healthcare professionals. Instead of the current status quo in women’s health of treatment planning by trial and error, Serona empowers hundreds of millions of women on hormonal prescriptions (e.g., for fertility solutions, menopause symptoms) to seek customized solutions and track insights over time. The company (Serona, a dba of Hack My Hormones, Inc.) was co-founded in 2014 by Heather Bowerman, a biomedical engineer from UC Berkeley and Harvard, ex-McKinsey consultant and former White House science and technology policy associate; and Brandy Houser, who holds a PhD from Harvard in Immunology and previously managed Pfizer alliances for the Partners Healthcare System in Boston. MediKeep is a mobile app for your home medicine cabinet. It has an inventory option to list all medicines by scanning the bar-codes or searching from a database, viewing expiry dates and remaining quantities. MediKeep is also working as a pill-reminder, with notifications where the user can count down dosage from the inventory after every notification. Future development plans consist of making profile based suggestions for home medicine, conflicting drug alerts, simplified medicine information sheets and an option to view taken medicine and symptoms log. The mobile app is available in the iTunes and GooglePlay store. The Estonian based team of MediKeep OU consists of two co-founders, author of the idea/designer Kerti Alev and Allan Kandmaa as iOS developer, as well as Mattias Linnap as android developer and Kaisa Kabin as project manager. Sendinaden Limited focuses on 3D printed smart wearable devices that help city-dwellers build better habits by triggering flow states for learning and health. The company rides different trends including wearable enchanted devices, 3D printing as a new form of distributed manufacturing for customized, complex geometries and learning & health through flow states. In Asia, city-dwellers are faced with challenging environments that are both polluted and stressful. Sendinaden’s first product, the Pattern Breathe Mask, improves health by changing breathing patterns. Customized to each user and up to 95% 3d-printed locally, the mask filters the air while measuring the user’s breathing and giving real-time feedback. Better breathing means better living – the breath acts as the remote control to the body. Sendinaden is also exploring other customer needs including the diagnosis and treatment of sleep apnea and usage for drug delivery & pulmonary rehabilitation. The Pattern Breathe Mask will be available worldwide from January 2016. Many patients can’t be treated effectively with the standard of care today. They suffer from diseases that can’t be managed or cured. The therapies that are still in development represent their only hope, however, most patients lack access to these innovative treatment options. Viomedo UG provides patients access to innovative therapies in the setting of clinical trials. The online platform aggregates 2,000 clinical trials that are open for patients in Germany. It also provides them with the information they need in order to consider participating in a clinical trial as a therapeutic option. This is how viomedo provides patients access to tomorrow’s medicine, today. Many North Americans and Europeans have some sort of vitamin deficiency. Unfortunately, many are unaware of the condition, and those who supplement their diets with pills often take excessive amounts or not enough. Both excessive and deficient vitamin levels have been linked to diseases. The Vitameter is a handheld device that analyzes users’ vitamin levels from a single drop of blood with a user experience similar to glucometers. The intent is to expand to other biomarkers, providing users with the information needed to quantitatively understand and optimize their health. Vitameter Inc. is a company out of Waterloo, Canada, that was cofounded by Nirushan Udayakumar, James MacLean and Robert Green. James and Nirushan graduated from Waterloo’s Nanotechnology engineering program while Robert graduated from Waterloo’s Environment & Business program. The “Grants4Apps (G4A) Accelerator” is part of Bayer HealthCare’s open innovation initiatives and aims at creating an environment in which to advance digital innovation in healthcare. The “G4A Accelerator” program was established in 2014 and offers dedicated office space for five digital health startups with concepts for innovative technology solutions to healthcare problems at the premises of Bayer HealthCare in Berlin. The program wants to support the digital health startups in further advancing their projects and business models. Each startup receives up to 50,000 Euro as financial support and can stay in the “Grants4Apps Accelerator” premises for about 100 days. During this time, Bayer offers experienced managers as coaches to the startups, in addition to intensive mentoring by external entrepreneurs. Bayer HealthCare recognizes the creative potential outside of Bayer and believes that combining expertise is the key to innovation and success. Complementing internal capabilities by establishing relationships with excellent partners from science and industry is an essential element of the company’s strategy. Bayer HealthCare also embraces new approaches of open innovation with partners from academic and startup environments to leverage the fast-increasing knowledge. With the web-based crowdsourcing initiatives called “Grants4Targets”, “Grants4Leads”, “Grants4Apps” and “PartnerYourAntibodies”, the company offers grants for scientists from universities, academic research institutes, and startup companies or health information technology developers to support specific projects. With its global research incubator concept called “CoLaborator”, the company offers young life sciences companies access to the Bayer expertise and the global research network, in addition to the ready to use laboratory and office infrastructure in the immediate vicinity of the company’s own research facilities in San Francisco and Berlin. In pre-competitive collaboration models, Bayer HealthCare joins forces with partners from academia and the industry but also patient organizations and regulatory authorities to advance fundamental research and develop platform technologies to broaden the foundation for future research and fuel the momentum of medical innovation.